Brewer Description: (from can release description) The Invisible Man is on assignment and ready to strike in ‘Stealth Mode,’ a Tart Wheat Ale featuring hundreds of pounds of blueberries! Kettle-soured for a terrifying acidity, this sinister combination of our classic Berliner Weisse style and tart seasonal fruit makes for a scene-stealing explosion of flavor. This beer was brewed in imaginative collaboration with Keymaster Games and is the third of several Campy Creatures we’re bringing to life in themed can releases! 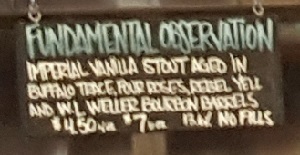 Intro: On tap at Bottle Logic Brewing, Anaheim. A 14 oz pour into a Bottle Logic goblet glass. Appearance: A hazy dark purplish red colour with a minimal purple head and no lacing. Aroma: Blueberry candy, lactose and yoghurt. Taste: Lightly tart and sour, blueberry, lactose, tangy. A great combination. Mouthfeel: Light bodied with moderate carbonation. Overall: Very refreshing blueberry flavours. Nice, tart, and easy to drink. Brewer Description: (from website) Eureka! 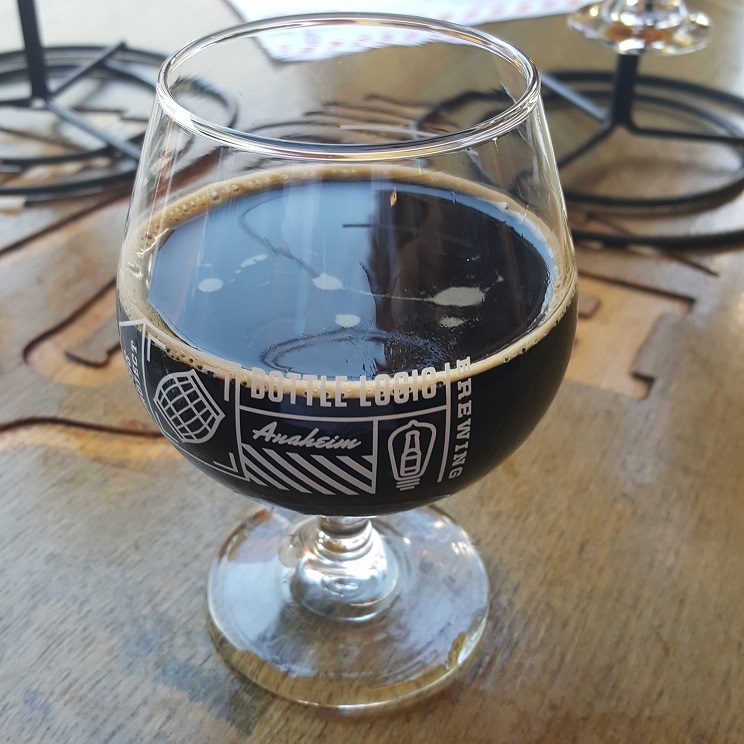 You have just discovered an Imperial Stout full of vanilla’s fundamental flavor. This stout was aged in four different types of bourbon barrels, and blended with Madagascar vanilla beans. Sit back, relax, and observe the world around you. Intro: On tap at Bottle Logic Brewing, Anaheim. 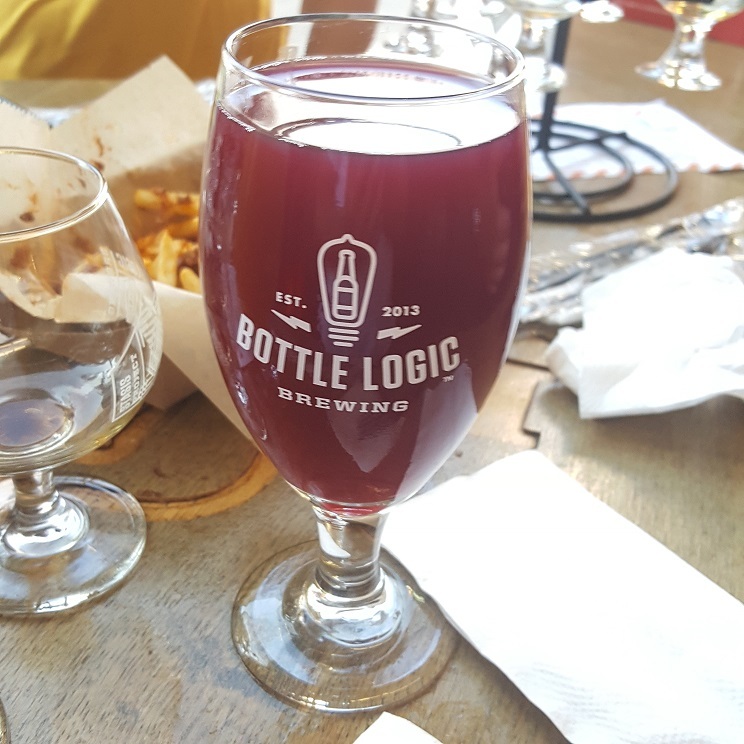 A 6 oz pour into a Bottle Logic snifter. Appearance: It was black in colour with minimal brown head and minimal lacing. Aroma: Vanilla, sweet milk chocolate, oak and bourbon. Taste: Very nice sweetish milk chocolate, oak, bourbon and vanilla. Mouthfeel: Full bodied, low carbonation and a light alcohol burn. Overall: Excellent! This was just really nice, complex and a great sipper. Really happy to be able to try this on tap at the brewery! Brewer Description: (from can release description) This DOUBLE IPA makes a bold move with an outrageously over-the-top blend of Mosaic, El Dorado, and Galaxy hops for a citrus driven, freshly juiced flavor. You’ll find familiar background layers of dank, pithy citrus featuring new character notes of exotic tropical fruit with peach and piney brightness. START is full-bodied and fruity with a resinous finish — get ready for the boss level! 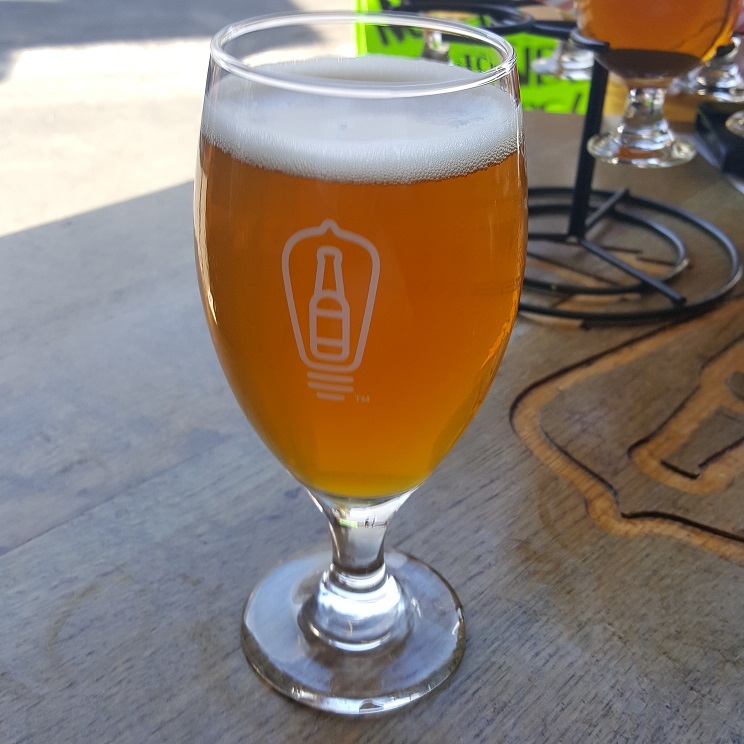 Appearance: A lightly hazy golden copper orange colour with a one finger white head that had decent retention and left nice lacing. Aroma: Pineapple, peach, pine and orange rind. Taste: Lightly bitter with fruity peach and citrus rind. Mouthfeel: Light to medium bodied with moderate carbonation. Overall: Nice and refreshing, especially for a hot day.